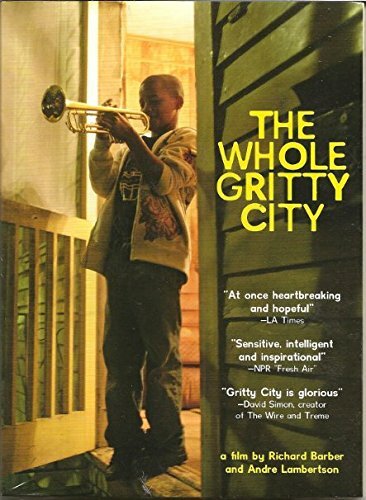 The Whole Gritty City is a unique, fascinating window into the little-known world of New Orleans school marching bands. 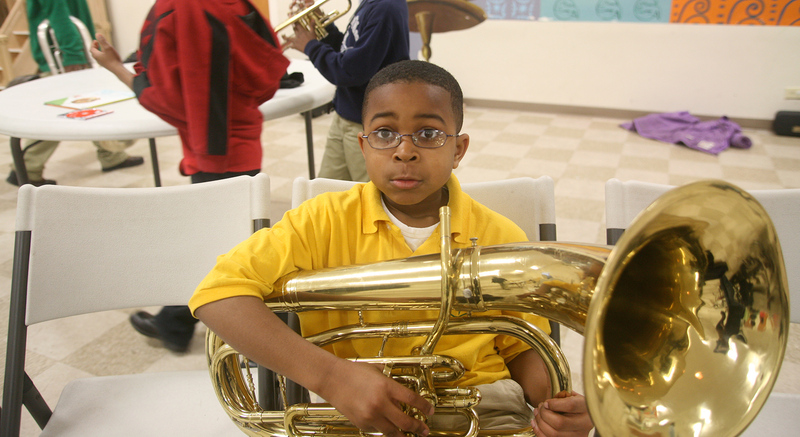 This dramatic, music-filled documentary follows kids in three bands as the directors get them ready to perform in the Mardi Gras parades, and teach them to succeed and to survive. Navigating the urban minefield through moments of setback, loss, discovery, and triumph, these children and their adult leaders reveal the power and resilience of a culture. A 2016 ALA Notable Video, it was broadcast nationally as a CBS News Special hosted by Wynton Marsalis. Available on Amazon, Vimeo, DVD and Kweli TV. See The Whole Gritty City’s Kickstarter backers here and here. A documentary in the Fred Wiseman mold…sensitive, intelligent and inspirational. At once heartbreaking and hopeful. An inspiring and moving documentary with great people who have amazing stories to tell. Be prepared to be shattered by some of them. Should be required viewing for any music educator in training. A musical celebration of New Orleans and its people, showing us that music is life, and where there is music, there is hope. Highly recommended. We emerge from this film, moved, shaken, mobilized. A hymn to music, joy and hope. It’s a testament to the skill of filmmakers Richard Barber and Andre Lambertson — but even more so to the poignant soulfulness of the children featured — that the kids outperform even the famously charismatic adult band directors. The Whole Gritty City understands what ultimately powers New Orleans.